It's been a crazy busy couple of weeks here in my new studio. The basic move in is done but I haven't played with my work areas much because I've been busy with an upcoming exhibit that I am in with a group of fellow artists. 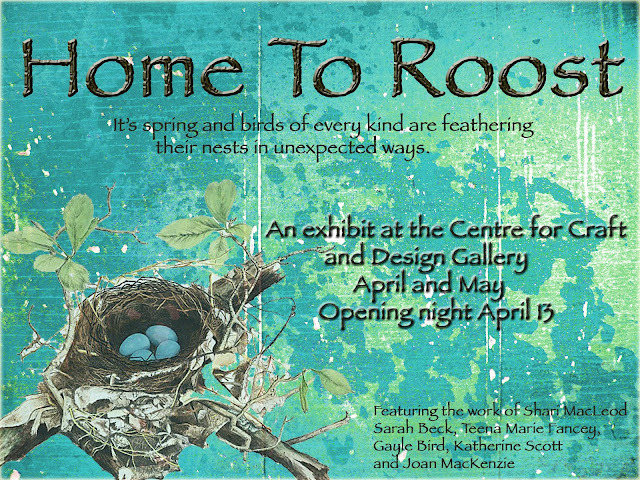 It's called "Home To Roost" and it will be up for the months of April and May in the Centre for Craft and Design Gallery. 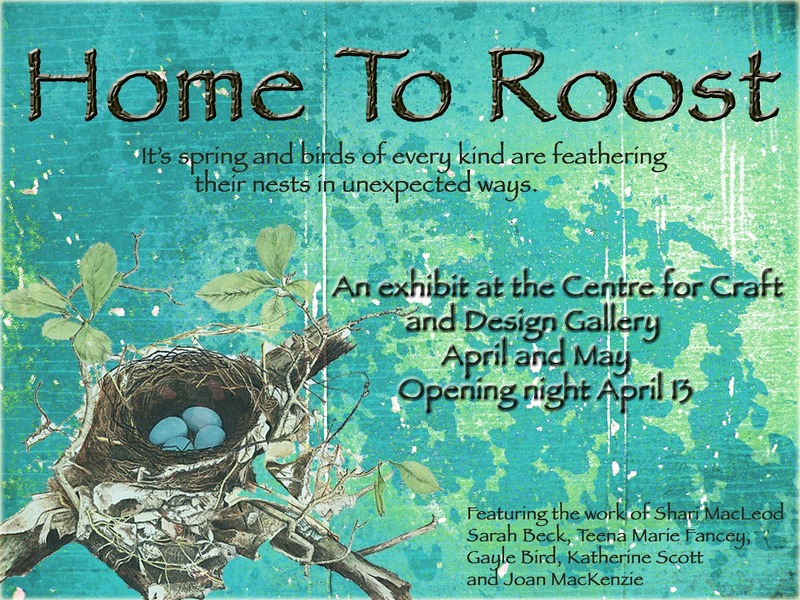 There are 6 of us in the group, Shari Macleod who is a basket weaver and felter, Sarah Beck is a potter, Teena Marie Fancy is a mixed media artist , Gayle Bird creates wire wrapped jewelry, Katherine Scott designs with paper and me who works in fibers. Shari began the idea and invited us all to join her, quite a well rounded group and I think the show is going to be amazing! This grouping will be placed in a nest and a Papa bird added with a few other bits. This fine fellow is nearly done and is having a custom made personal perch made to call home. I wish you all were close enough to attend our opening night in a couple of weeks but hopefully those close by will come along.